Henry started his singing career early in kindergarten when he was chosen to sing “I am a Promise” for a school assembly and the regional Christian schools Fine Arts Festival. The assembly went well, but when his name was called at the festival Henry began to cry, thus removing himself from the competition. He rebounded in fourth grade with a confident performance as Shepherd #5 in the Christmas program, and again in seventh grade with a stirring portrayal of The Clock in Cinderella Finds Time. His execution of the line “It’s grand ball time, chicky-baby. Let’s swing!” had audience members reaching for their tissues. Perhaps all this success contributed to the subsequent phase where Henry was just too cool to sing anything for a few years. But in high school, when faced with the choice between shop and choir, he chose the latter. Within a couple years he was looking for any excuse to sing. This continued at Calvin College where Henry joined nearly every vocal ensemble available to him. 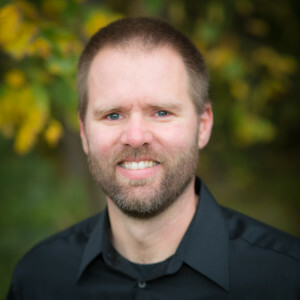 Fresh off earning a degree in theatre in 1998 he took a landscaping job at Calvin and joined the Calvin College Alumni Choir. He continues to sing with the choir and has enjoyed touring with them on several occasions. In 2004 Henry accepted a position as a Choral Scholar at St. Mark’s Episcopal Church – a position he held for three tears. Henry is very grateful to all the choral conductors he has worked with. 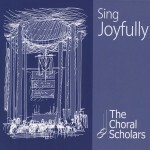 Each has contributed to his growing love of choral music singing. The credits include: Calvin Davies, Dr. Howard Slenk, Prof. Merle Mustert, Dr. John D. Witvliet, Dr. Pearl Shangkuan, and Dr. Karl Schrock. Henry is grateful to have grown up in a family where music was valued, and where he wasn’t teased too much for the whole crying incident. His profound thanks goes to his wife Liz, and children Meili, Willem and Raymond who remind him daily of the many reasons to sing.